Maria-Helena Ramos is a Research Scientist in hydrology and hydrometeorology at the National Research Institute of Science and Technology for Environment and Agriculture (IRSTEA) in France. She is also an occasional lecturer at Sorbonne Université, Polytech Paris-UPMC and EIVP Engineering school in Paris. 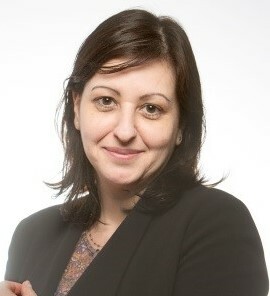 She has participated to several national and European research and innovation projects, published over 100 scientific papers and reports, organized training courses on flood forecasting and uncertainty to post-graduate students and professionals, as well as co-authored several games for teaching and training on the use of probabilistic predictions in hydrology. Dr. Ramos was co-chair of the Hydrological Ensemble Prediction Experiment (HEPEX) from 2014 to 2018 and is currently president-elected of the Division on Hydrological Sciences of the European Geosciences Union (EGU), starting her term as division president in April 2019.